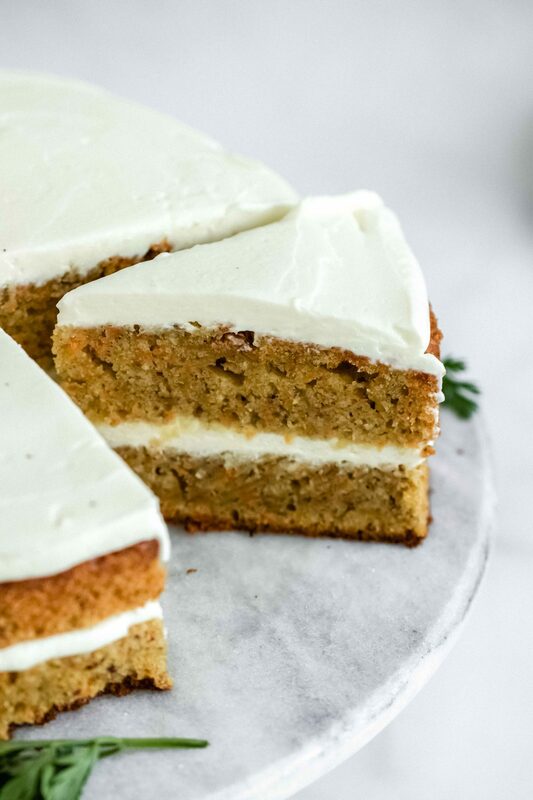 I look forward to this moist carrot cake with every single year. It is super tasty and even a tick healthier than the classic version. And it tastes incredibly delicious. 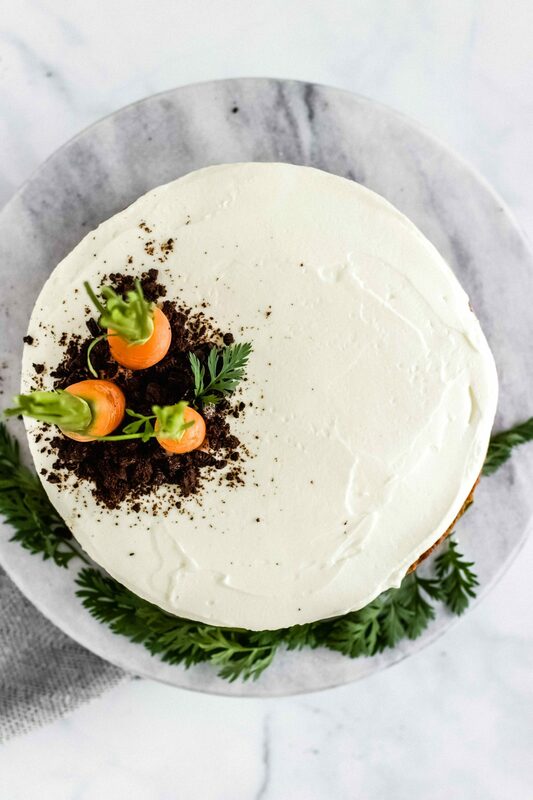 Is it even a full-fledged Easter when there’s no carrot cake on the table? Yeah, I guess so. But such piece of cake with coffee makes this day even more beautiful. It should be easy and fast to make. CHECK! You don’t need a mixer or a lot of time. The ingredients are simply mixed together in one bowl. The cake should be MOIST. Three callsigns!!! I love cakes of every kind. But if they are dry… Ugh! I rather do without them. 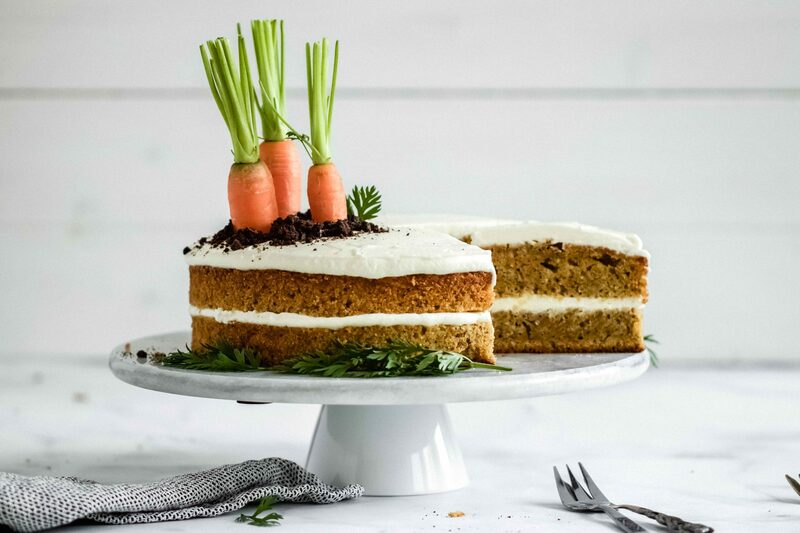 This carrot cake has never heard of that before, of course. There are a lot of carrots, some eggs and oil in it. The texture is therefore unbeatable. Tastes are different. Therefore, it is all the better if a recipe can be easily changed. You don’t like the cream cheese frosting? (For real?!) Well, no problemo! 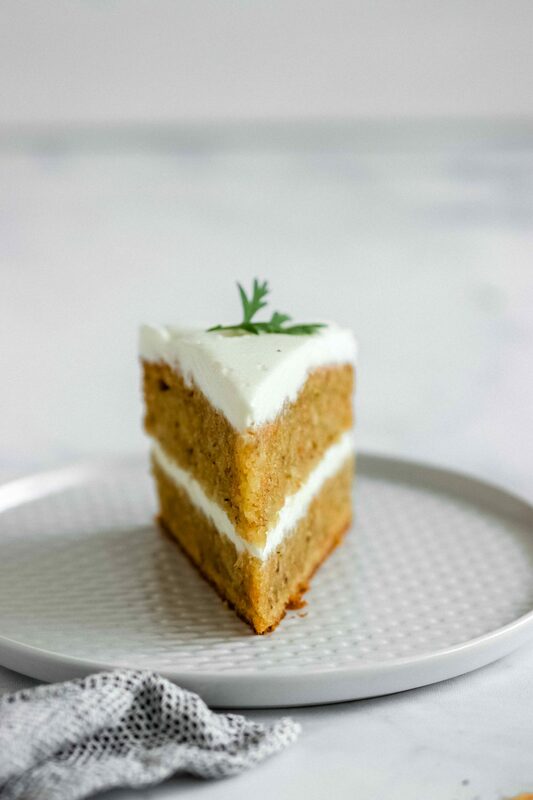 The carrot cake is super moist in itself. You like a little crunch? Add roasted nuts. You can also add raisins, chocolate drops, more cinnamon, cardamom, etc. to the dough. 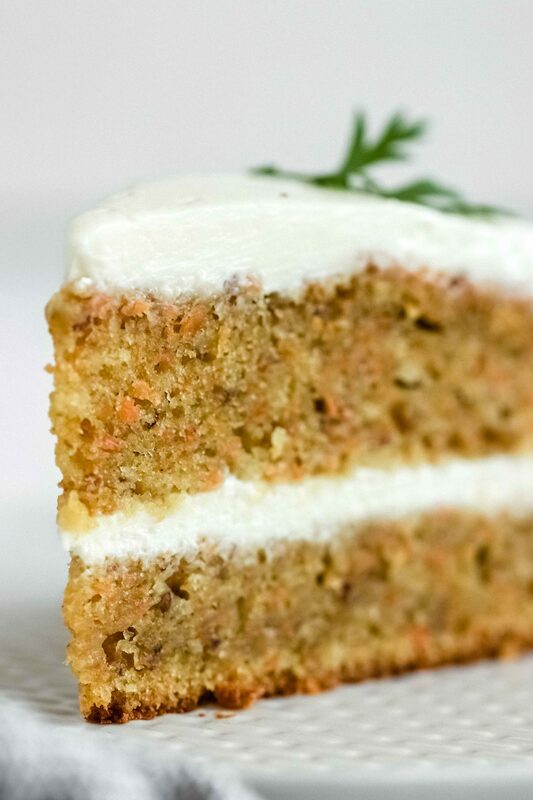 Make it to YOUR favourite carrot cake. The cake should be healthy-ish. 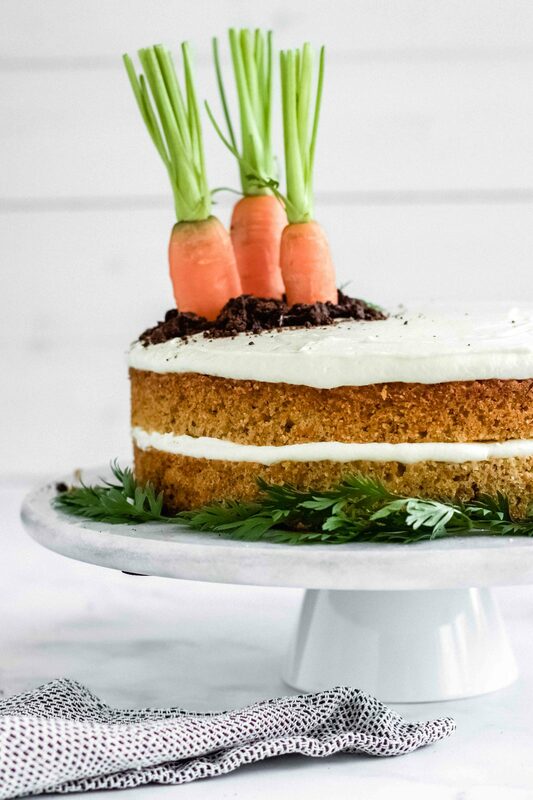 The garnish is so simple and quick to make and yet so sweet and perfect for Easter. 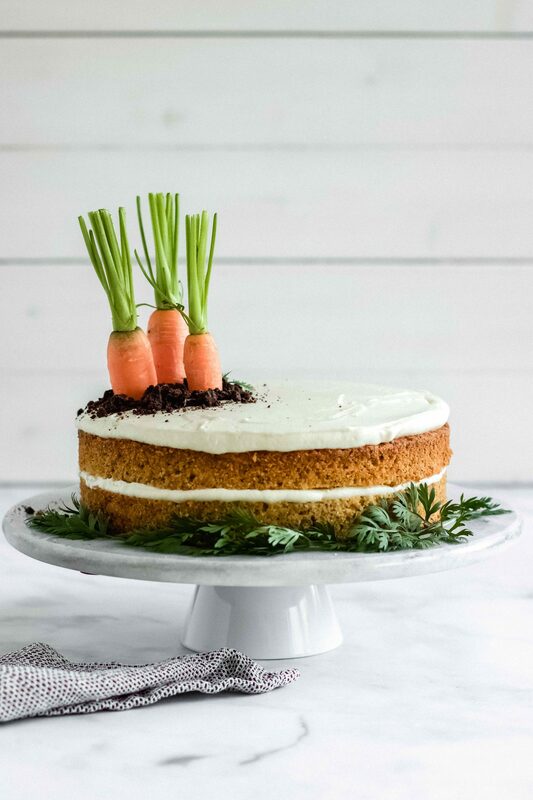 If this carrot cake doesn’t get all the Easter Bunnies into your else I don’t know what else would. 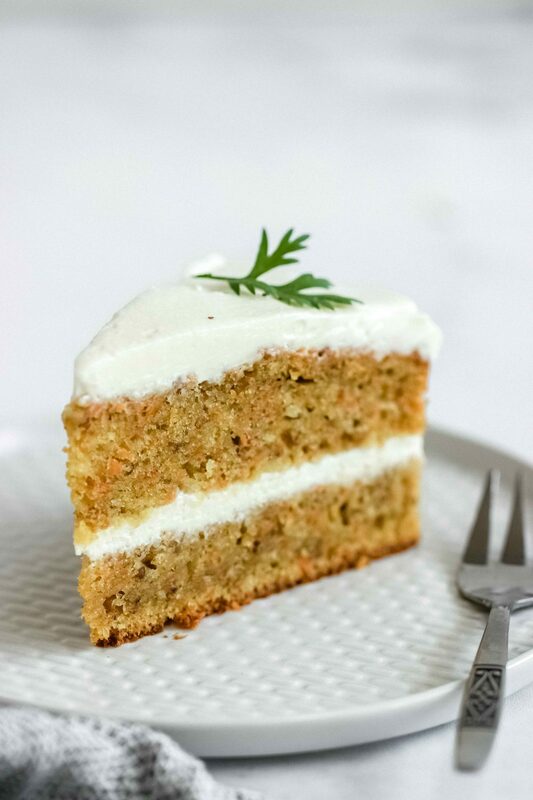 Incredibly moist and fluffy carrot cake with a healthier cream cheese frosting. An absolute highlight on the Easter table! Heat the oven to 350°F (175°C). Grease and flour a ø22cm round cake pan. In a medium bowl, whisk flour, nuts, baking soda, salt, and the cinnamon until well blended. In a separate bowl, whisk the oil, sugars and eggs until combined. Switch to a large rubber spatula. Scrape the sides and bottom of the bowl then add the dry ingredients in 3 parts, gently stirring until they disappear and the batter is smooth. Stir in the carrots. Empty the batter into the cake pan. Bake until the top of the cake lis springy when touched and when a toothpick inserted into the center of the cake comes out clean; 50 to 60 minutes. Cool the cake in the pan for 15 minutes then turn out onto cooling racks and cool completely. In a large bowl, beat cream cheese, curd, sugar and vanilla with a handheld mixer on medium speed until creamy, about 30 seconds. When the cake is completely cool, cut in the middle, frost the top of each cake layer. Place the other cake layer on top. 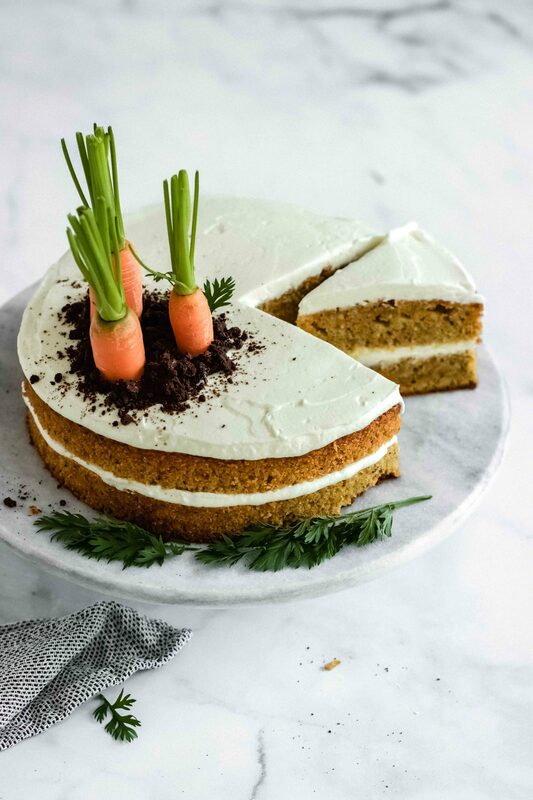 Keep in the fridge until you serve the cake Garnish with fresh carrots and crumbled chocolate cookies. 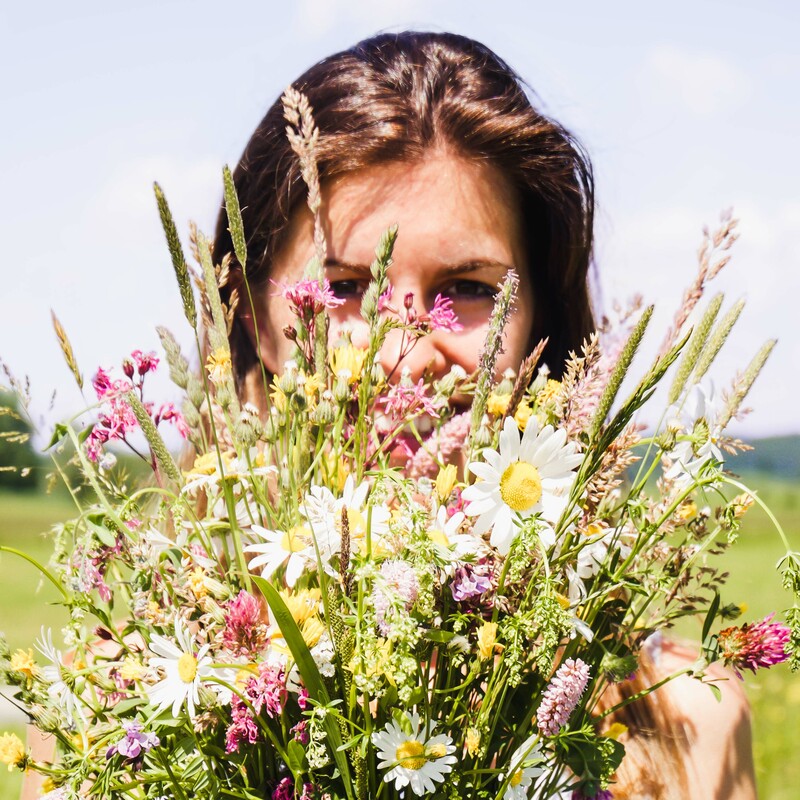 I am Michaela and I am so excited that you are here! Having grown up in the countryside of Salzburg, Austria I have always attached great importance to high-quality, regional, tasty food and dishes. On my blog you can find recipes I grew up with and many other delicacies, tips and tricks. Have fun browsing and cooking!